The Ming aralia (Polyscias fruticosa) is one of those plants that was once popular but has since fallen from favor. True, it is a tad temperamental but no less so than other popular houseplants, and it's such a singular, exotic plant that it's well worth growing. Although all the polyscias are Asian in appearance, none is as much as the Ming aralia. Its ferny, feathery foliage droops from graceful narrow branches that grow straight up in mature plants to form a many-layered, complex plant. A Ming aralia grows slowly but can reach over 6 feet in height. You can also use this plant for bonsai if you want an exotic miniature. The Ming aralia likes bright, indirect light. It can handle light shade. Keep the plant moist in growing season, and cut back to watering every other week in the winter. High humidity is essential, so provide plenty of humidity year-round. This plant likes it warm, between 55 F and 60 F in the winter. Avoid cold, dry drafts. Rich, loose potting media is best. Use liquid fertilizer throughout the growing period, or pellets in the spring. The Ming aralia can be propagated through cuttings. Take green-stem cuttings and use a rooting hormone for best success. Take the cuttings in spring, when you can provide them with plenty of warmth and moisture. Even then, expect a slightly higher failure rate than some easier houseplants. Repot annually as needed, or every other year. A mature Ming aralia can reach 6 feet or higher in optimal conditions, so repot it less often if you want to keep the plant smaller. They don't object to being slightly pot-bound, but you should refresh or top dress the soil annually. The biggest challenge with a Ming aralia is keeping it fully clothed in leaves throughout the cold, dry winter months. If the plant is subject to cold or dry air, it will begin to drop leaf stems and quickly be completely denuded. This can be prevented with warmth—possibly including a bottom heater—and plenty of warm humidity. A sill above your kitchen sink might be perfect for a smaller plant. If your plant does drop all its leaves, move it outside once spring is well underway and it will leaf back out again. You can trim Ming aralias in the spring. The good news is that the Ming aralia is fairly resistant to pests. You may, however, encounter aphids, scale (producing furry white patches), mealy bugs (brown bumps), and spider mites (stippled pattern on leaves). Spraying it with a soap solution or a Neem oil solution (2 tablespoons in 1 gallon of water) can help keep these pests in check. 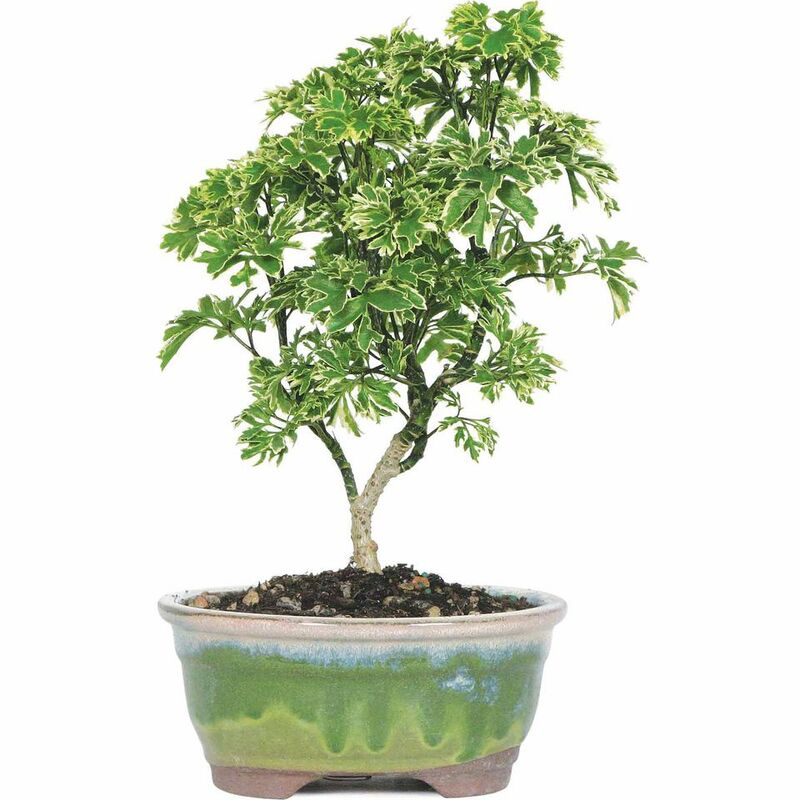 When trimming a Ming aralia as a bonsai, you can prune the delicate branches rather than wiring it into shape. If you prune the inner branches you will make it look more tree-like. The trunk will become rugged-looking like a tree.